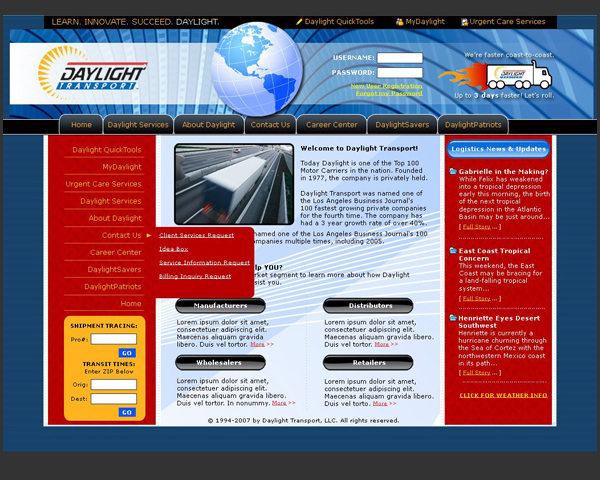 Daylight Transport – Graphic Design | ASTRALCOM - Content Strategy, Conversion Marketing and Customer Acquisition. 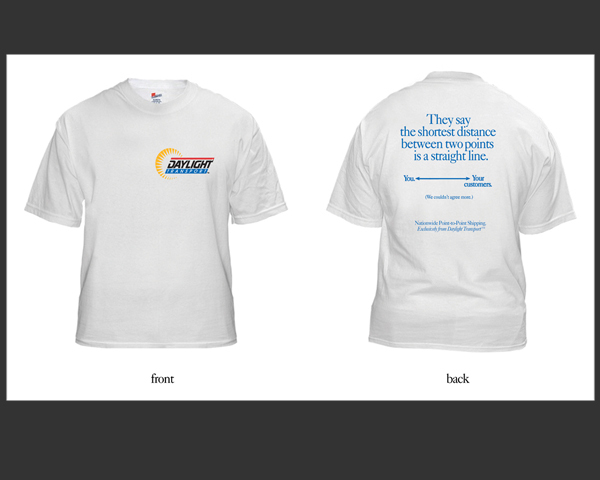 Daylight Transport – Graphic Design | ASTRALCOM – Content Strategy, Conversion Marketing and Customer Acquisition. 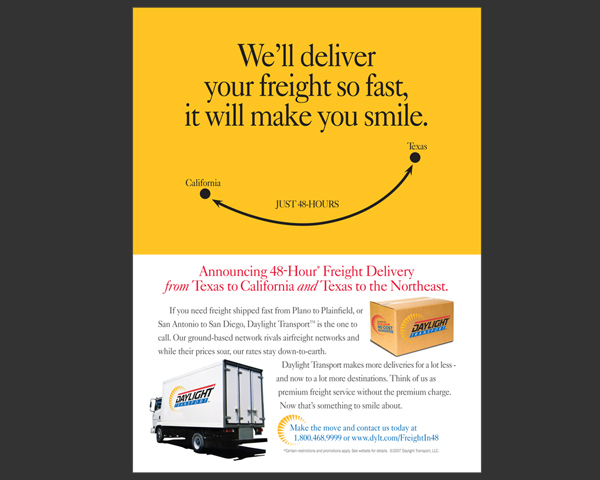 Launching a new division, sales territory, or in Daylight Transport’s case, a new shipping and delivery route is nearly always a challenge. But when the agency and the client have a truly synergistic relationship, great things happen. 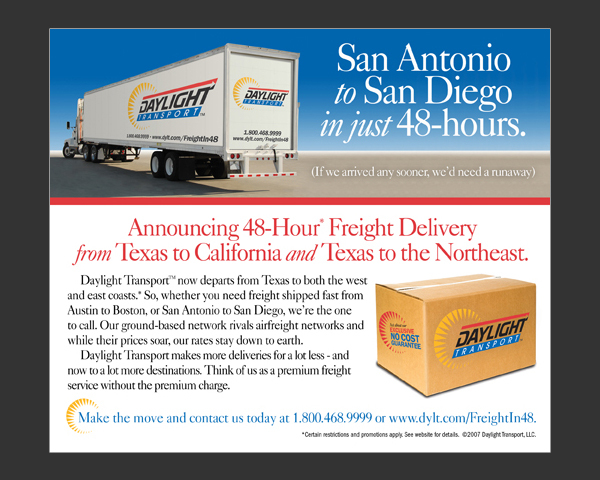 We made it easy for Daylight to open new routes and to connect with new customers. We developed a new web presence and supporting marketing and advertising materials, with top-notch creative and effective calls-to-action. 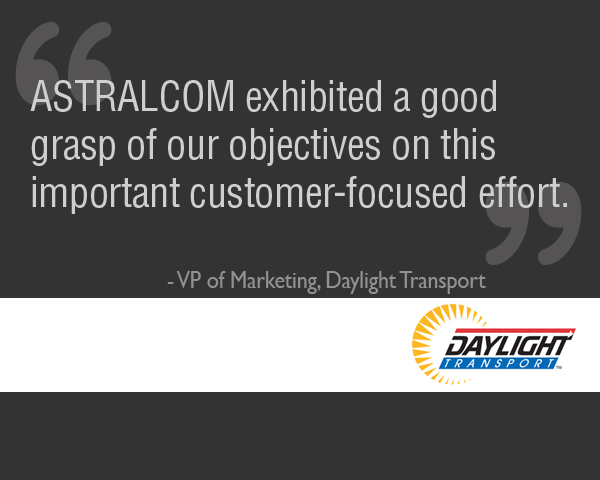 “ASTRALCOM exhibited a good grasp of our objectives on this important customer-focused effort,” said Daylight Transport’s VP of Marketing.